Liz Griffett, a member of the Municipal Alliance for 4 years, has received the honor of being named as Somerset County Volunteer of the Year for 2018 because of her dedication and service to the Hillsborough and Manville communities. Ms. Griffett works tirelessly to raise awareness about the dangers of drinking and driving and has been successful in committing many people to pledge to be designated drivers. Ms. Griffett completed Recovery Coach training and Ethical Considerations for Recovery Coaches training with City of Angels and Connecticut Community for Addiction Recovery. She facilitates a family support group at the Reformed Church in Manville as well as a parents support group at Carrier Clinic. She has made a difference in Hillsborough and surrounding areas by talking about substance abuse and mental health issues in a passionate and gentle manner. She embodies the idea that by speaking about these issues, we can make a difference in our community. 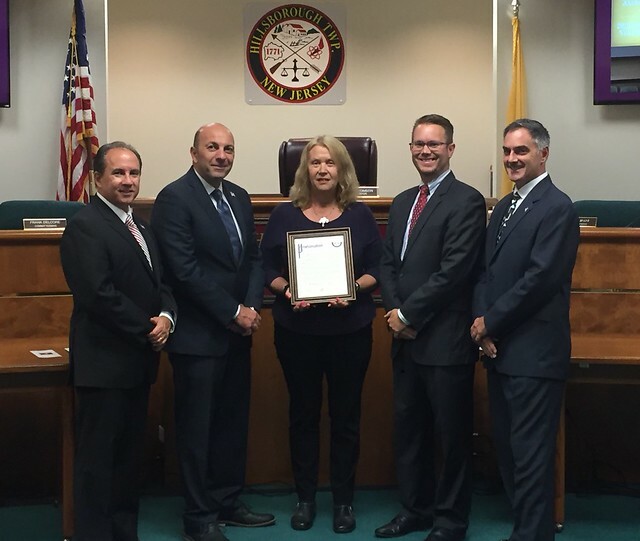 The Hillsborough Township Committee commends Liz Griffett for being recognized as Somerset County Volunteer of the Year and we thank her for all her work and dedication as a volunteer through the Municipal Alliance.